← Is social media spurring creativity? Or demented acts? Gary Hayes’ social media count is an interesting reflection of the exponential growth in usage of social media and allied digital accessories. The social media statistics counter makes extensive use of documented sources. Check out the social media count as of this minute here. Currently, there aren’t any exhaustive reports on social media usage in India. However, the ones that exist indicate a steady surge in acceptance of social media, and gradually extending beyond the top urban markets. Super-imposing this scenario with the growth of PCs fueled by smaller towns and growing internet/wireless connections, it is a welcome sign. In Jan 2010, India crossed 8 mn broadband connections, and added 19.90 mn wireless connections. However, mobile phones and TVs dwarf all others. At the same time, increasingly people are opting for wireless connections, and most operators are offering IPTV (landline phone and satellite tv routed through wireless internet connection). In many cases, internet is likely to find its place into the homes through the primary requirement being the Satellite TV connection and internet as a value-add at the same cost. So, TV is likely to increasingly get connected, and offer beyond just TV shows to include other web-based content (we are already seeing this happen with tuitions, games, etc) across the Indian homes. 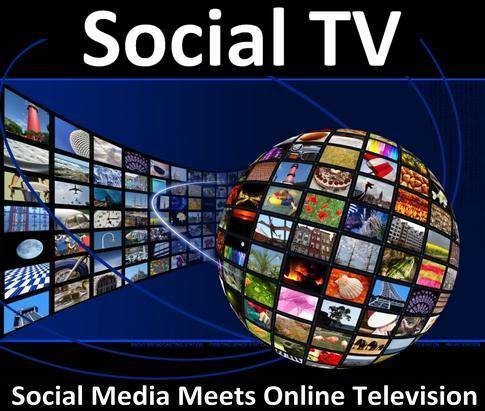 Simultaneously, else where, with offerings such as Moki.TV TV is getting a fresh lease of life by integrating social media. Putting the two and two together, as sources of information consumption, the TV in its new avatar is likely to be a crucial ground for communicators and brands. The next billion access device for India might very well be the TV (obviously mobile already is). Therefore, transmedia or multi-platform content can create completely new ground-up experiences. Transmedia will not be an option but hygiene, as the audience will expect to experience rich interaction across the platforms, with a different yet connected experience. And story-telling an even more important part of this game! This entry was posted in Brand Marketing, Featured, Gaming, Mobile, PC, Social Media, Web and tagged Business, Facebook, India, Internet Marketing, Marketing and Advertising, Mobile phone, social media, Wireless. Bookmark the permalink.